Creative62, a Leicester based creative agency that provides design and branding to businesses across the UK, today announced it has added Oadby House as a client. Creative62 will develop the Oadby House brand including its visual identity, advertising and promotional materials. 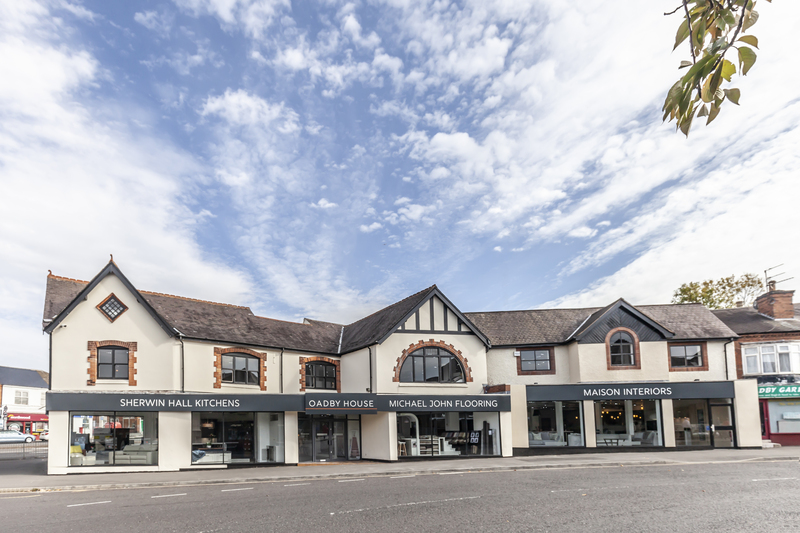 Opening on 6th October 2018, Oadby House brings together three of Leicestershire’s finest interior specialists with Michael John Flooring, Maison Interiors and Sherwin Hall Kitchens housed under one roof for the first time. The new venture will combine over 100 years of experience in serving the Leicestershire community and will offer a unique experience for customers looking for the very best quality products from leading manufacturers. “Our growth in clients over the past few months shows the increasing demand for effective marketing in the current climate” said Mark Robinson, Creative62 Director. “Creative62 is playing a crucial role in conveying a high-impact message; that we are an exciting new offering to customers looking for exceptional quality interiors, with the choice and outstanding service of three of Leicester’s finest companies now under one roof. "We are excited to see where the coming year takes us and the marketing support from Creative 62, along with our dedicated team at Oadby House will assure our success."